Solar tax exemptions, including both property and sales tax exemptions, are provided by state and local governments to help lower the costs of owning solar energy property. 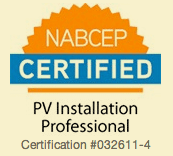 Free MN Solar Panel Installation Quote Save $ with Solar in Minnesota. 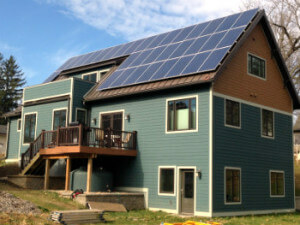 Limited incentives to install solar are available through Minnesota’s Solar Rebate Programs! Find out whether you could benefit from solar by filling out our form below. We will contact you to discuss your potential solar options and see if it makes sense for you to have a free, no obligation on-site consultation for your home or business. Applications for the Xcel Energy Solar*Rewards Program and other programs are available first come/first serve, so now is the time to schedule your consultation. All Energy Solar is proud to have helped hundreds of homeowners and business owners throughout Minnesota to start saving with solar energy. We look forward to seeing if we can make the sun work for you! This is the story of a family man, techie, environmentalist, and lover of his All Energy Solar system who is “looking forward to many years of low cost energy”. As a retired couple, the Dee’s wanted to make their monthly expenses as predictable as possible. After doing some research, the Dee’s realized that the use of Solar electric panels could help them lock in their energy rates for years to come. Click here for more testimonials and case studies of our work! Who is All Energy Solar? All Energy Solar is a premier full-service solar energy provider based in Saint Paul, Minnesota. We’ve been providing full-service installations since 2009, and we’ve installed hundreds of systems throughout the state for property owners of all kinds. Solar is a clean, renewable source of electricity that promotes local job growth and supports energy independence. By going solar, you are helping the state to meet important goals to get more renewable energy on the grid. Solar electricity is reliable, noiseless, and adds value to your property without increasing your property taxes. Do I have to pay for my solar system up front? No. There are different options for paying for your system. Pay little upfront with a solar loan – Save money from year one while building equity in your system and take advantage of great tax credits and rebates. At the end of the loan enjoy free power from the sun. Purchase a solar energy system – Purchasing your solar system outright means instant electricity savings, tax credits, rebates, and increasing your home’s resale value. With no monthly payments you can save immediately with clean power from the sun. Will I need batteries for my solar system? No. All Energy Solar installs solar power systems that are tied to the existing electrical grid, which eliminates the need for batteries. Fill out the form above to find out if you qualify to save with solar! The process of installing solar energy involves adhering to a number of construction, safety and other types of codes and standards.